This year you can make a donation (see below) and companies like Rebound Physical Therapy will double it. Really cool but now there's a way for you to set up your own fundraising campaign. The tools are on the registration page. It's simple. You can even take credit card donations. Here again we'll be giving prizes for things like creativity and amount raised. 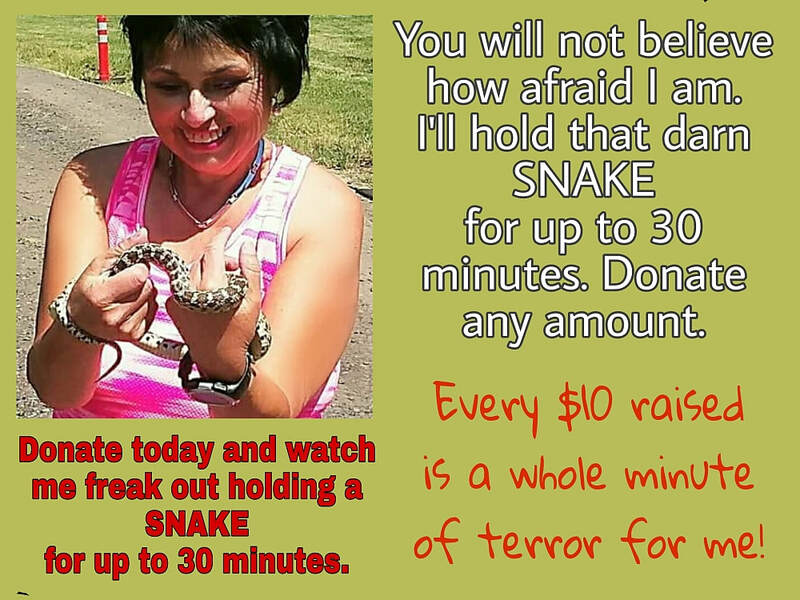 It's a fun way to help us raise even more money and most of it will be doubled. Here is some tried and true advice from Carol that will help you with just about any personal fundraising campaign you can imagine. People don't like to say no. It's as simple as that. Ask them for a donation and most will give you one. My favorite things to ask when they do say no is. "Not even $5.00?" Depending on the situation you may need to change the amount. You'll usually get something but if you don't, be super nice and leave the door open for next time. Some are just a little slow to warm up. There's one company I've been working on for three years. You wouldn't believe who it is if I told you. Have a good opening that immediately makes sense and connect it with who you are. If you're concerned about the run down trails, maybe something like this will be good. "I run the Butte almost every morning and the trails just keep getting worse and worse. I've seen a few people get hurt and I'm trying to do my part. I have a fundraising page connected to the Pilot Butte Challenge. Would you be willing to do something to help make the park better for the nearly 2,000 people who use it every day? We even take credit cards. If you're outgoing, you have it made. If you know someone who is generous and is filthy rich, you have it made. If you're a geek and know a lot of other geeks, you have it made. If you're shy and have very few friends outside of the stamp club, you have it made. If you hardly ever leave the house but have a lot of online connections or even just a telephone, you have it made. You just need to figure out a way to go about it and there thousands of ways. When you think of something that might work, google it. No sense reinventing the wheel. Get the tips and then get going. Some of this will be trial and error. If you've never done anything like this before and find this a little uncomfortable, think of it a stretching a bit and set your goals low. For some. raising $10 is going to be a much bigger accomplishment than me raising $1,000. Why? Because since I was very small my relatives used to tell me I have no shame. I'm just not afraid to ask for some reason and people seem to like that. I just gave you another tip. People really want to give something and help. You just need to ask. It almost never works to go on Facebook and just generally ask people to give. That said, there are some who can pull it off and I love to see how they do it. I can't, at least not yet. Maybe someday that will change. But my guess would be that when it works it's because there are a lot of close relationships on that page. I have a lot of friends but it's not like we're best friends elsewhere. Facebook can still be helpful for most. Use messaging instead of status updates and it will get you further in most cases. Out in the real world, a face to face conversation is usually better than a phone call. The more personal the connection, the better your chances. I came up with the craziest idea I could think of to demonstrate that almost anyone can do this. I decided to do a lemonade stand and charge way too much for the lemonade. Being a "lady," I took my lead from the Little Ceasar's lady and made an air guitar. That plus a little humor built in did the trick and we raised $72 in a couple of hours. But you could do the same thing with a donation jar on your desk at work. Just do something to draw attention to it and then come up with a question that works. In this case, if you're getting people to see the jar, you may only have to ask them if they saw it to start getting donations. It can really be that easy. Btw, if you google donation jars, one of the tips they'll give is to seed the jarswith some one's, a couple of five's and maybe a ten. People are more willing to give if they see others are giving. Then if you can get the boss to make a big deal our of his or her donation, watch things really take off. With any system, there will be ways to make it work better. The reason our matching donation system works is because someone is adding value to the donations people make. You can do the same thing. If you want to make a donation yourself, use that as an offer to match the donations up to a certain amount, Or maybe you're famous at work for your chocolate chip cookies. Offer a small bag of them to anyone making a donation over a certain amount. Adding value to the donations is a good strategy. Most companies have a budget for charity . Your's may and you don't know it because no employee has ever asked them to help with something like this. You've got a pretty amazing offer to make them. If they double donations, and then a company like Rebound Physical Therapy doubles it again , that quadruples the original donation. That's pretty awesome. Say you're thinking of a matching goal of just $100. That becomes $400 when all is said and done. For everyone involved, it's an easy give because so much is added. Who won't donate $5 when they hear it becomes $20? 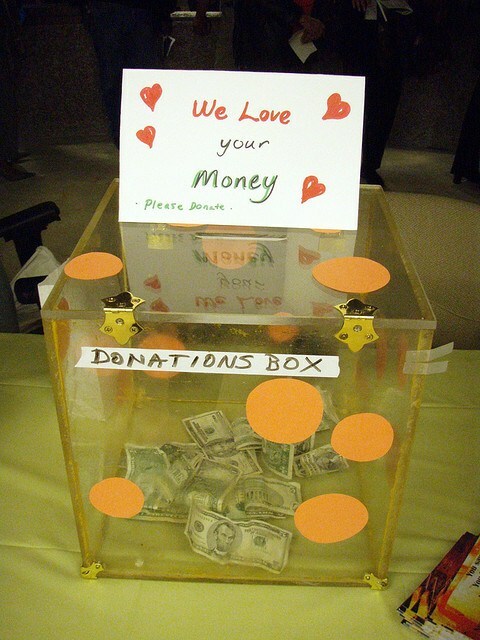 People love to know that what they did made a difference, In some cases, a simple donation thermometer is a big deal. It shows how you're getting closer and closer to your goal. The closer you get, the easier it becomes. Here you also have the raceentry.com fundraising campaign you created AND you may be in competition with others doing their own thing. Once you see how it works, you'll have lots of ideas for upping your game. Plus, you're part of a larger effort and that always helps. Cal Worthington was at one time the biggest car dealer in the country. He did his own commercials with his "dog spot" who happened to be a elephant. One of his most successful slogans was, "I'll eat a bug to make a deal." If you attach some crazy idea to what happens when you reach your goal, that will usually help. I wish I had thought of this earlier. I'm famously afraid of snakes. On a dare this year I held one for like 10 minutes. It got a lot of attention on Facebook and maybe that helped the Butte. But it could have helped raise a lot of money. I blew that one. Guess I'll have to eat a bug or something! Here's an idea some might try using Facebook groups. A Google search of "simple Facebook fundraising ideas" yielded a bunch of possible ideas. Find one you like and give it a try. You've got nothing to lose and you may be able to do the whole thing on you;re phone. Being able to easily connect with our overall fundraising effort makes it a lot easier because you can take credit card donations without having to set up a crowd funding page. Rebound PT does all of the accounting an makes sure all donation get to the right place. When The Butte Lady said she was going to raise money with a lemonade stand, people thought she was nuts. She raised $144 in two hours. Now she's getting buddy buddy with a snake and she hates snakes!